Color has an amazing way of impacting us on variety of levels, physical, mental, emotional and spiritual. Re-establishing our well-being, Chromotherapy or Color Light Therapy uses the seven colors of the light spectrum to change the bodies vibrations. Each color has a unique wavelength that triggers vibrations to different areas of the body. Light therapy is a growing treatment for anti-aging. Many individuals have seen a reduction in the appearance of fine lines, wrinkles, and age spots. 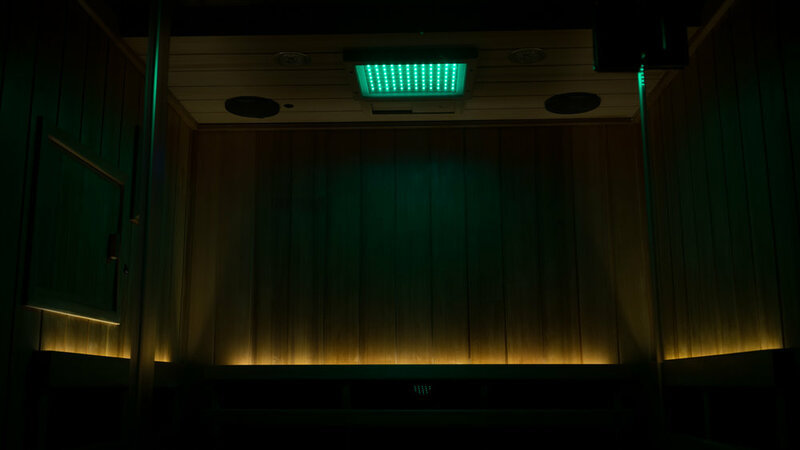 Combined with infrared therapy, LED phototherapy can be a great way to revitalize skin. Light therapy energizes skin cells, stimulating the production of collagen and elastin, giving skin back its youthful look. Light Therapy reduces swelling, relieves pain, decreases inflammation, accelerates open wound healing and greatly reduce overall recovery after medical/surgical procedures. Patients have demonstrated increased range of motion, decreased muscle tension, and improved circulation. Rejuvenating LED light therapy can be used for pain management such as joint and back pain, sore or torn muscles, sprains, arthritis, post-surgical scars, burns, wounds and more. When used with infrared technology, light therapy is one of the most effective ways to repair the body. Activates the circulatory and nervous system. Acts as a cleanser, strengthening of the veins & arteries. Energized and eliminates localized fat. Helps address asthma and bronchitis. Strengthens the body and acts on internal tissue. Reactivates and purifies the skin. Helps with indigestion and bodily stress. Provides anti-infectious, anti-septic and regenerative stimulation. Lubricates joints. Helps address infections, stress and nervous tension. Stimulates muscle and skin cells, nerves and the circulatory systems. Helps address eye inflammation, cataracts, glaucoma and ocular fatigue. Activates and eliminates impurities from the blood. Relaxes the nerves & lymphatic system. Addresses inflammation and urinary illness.